A lis of the most frequent questions sent to us by our users. 1. Why is XRestaurants.co.uk useful? XRestaurants.co.uk is the new and fun way of reading and sharing reviews regarding different restaurants, venues and special offers, as well as finding new friends and people that have the same interests as you. It offers you, as a beneficiary, the opportunity to make informed decisions when you go out to eat, to spend time with your friends, or simply to find out which are the best restaurants in your vicinity. Everybody can use this site. It is especially useful for restaurants that wish to reach the customers near their location, people that have just moved in their neighborhood, tourists that are visiting the city or any other person that wishes to find out what other people think about a particular venue or about the service provided by a particular restaurant before actually going to eat there. It is designed for the active members of a vibrant and growing community of online gourmands. 3. Is the use of XRestaurants free? Yes, we are 100% free for you, the beneficiary! 4. Who can view my profile and my reviews? Your public profile and the reviews you publish on the site can be viewed by any user. We believe that the site is more dynamic and fun this way and it allows you to get to known people that have similar interests near you. The ability to view the profile of someone who has reviewed a restaurant will also provide a greater trust among the members of the XRestaurants reviewing community. 5. Can a restaurant owner contact me after I have left him a review? A venue or a restaurant can contact you privately using their owner account. We believe that the owner should be able to answer to any review that concerns his establishment, as well as maintain a very important communication line between the owner and the customer, which often shows that the owner is interested in what his customers think and that he is willing to listen to what you have to say. 6. What review is considered excellent? We believe that an excellent review is the one that has been written from the heart and with vision, offering useful advice and information that will help the potential customers of that restaurant create a realistic impression of the restaurant and the venue you have written about. It is always useful to mention a few advises and to describe things that might come in handy for those who will visit the restaurant (examples: the available special offers, the best dishes, your favorite specialty). 7. What can I write in my reviews? It is completely your choice… we do have some suggestions for when you start writing your review and that you should take into consideration when you vote the services of a restaurant. Besides what we recommend here, we also suggest that you include any detail that you think the other customers might find useful. We suggest that you read the terms and conditions of use, which will clarify other aspects concerning the content introduced on the site. 8. Does XRestaurants erase reviews? Under normal circumstances, no. This being said, in certain cases, a member of our team may erase a review (this generally happens when somebody does not respect the terms and conditions of use). We will always send an e-mail to the author of the review in order to notify him regarding the reason we have erased the review. 9. Can I erase or modify a review after I have publishes it on the site? You may edit or erase an existent review from the site (if, of course, you are the author). You can edit a review in the “Modify Reviews” section of the site. This link will be available only for the review’s authors. 10. What is a Hall of Fame review? Have visited or ate at an absolutely exceptional place? Is this place among your favorite restaurants? If yes, a member of the site can request that the restaurant you wrote about be submitted to the Hall of Fame. All of the Hall of Fame requests are viewed and managed personally by the administrator of the site. In order to be able to enter the Hall of Fame, a restaurant must have at least 10 reviews and a total score of at least 4.0. The users review must be written in a reasonable fashion and be useful to the other users of the site. A Hall of Fame restaurant receives a “R” emblem. If the total score goes lower than 4.0, the restaurant is immediately pulled out of the Hall of Fame. To enter the list, the restaurant must be nominated by at least a second user. 11. How can I be sure my review also appears on Facebook and Twitter? After you have added a review, go to the review page and, immediately after the text of the review, there is a share button. Hold the mouse cursor on the button and a list of access links will appear, including Facebook and Twitter. Click one of these sites and follow the steps displayed in order to get your review on Facebook or Twitter. 12. What if I find an offensive review and I wish to report it? Please click on the “Report” link, which is available with each review. 13. What is the “Trust Indicator” found on the users profile page? On the left part of the user’s profile page, you will find the “Trust Indicator” section. This indicator is a very important element through which the community of members can invest their trust in a particular user and help other users select the best suggestions and information regarding a restaurant. As an XRestaurants user, you can influence the “Trust Indicator” of another member through your vote. When you do vote, we suggest that you take into consideration all of the reviews added by the user, their content as well as the level of activity that user has manifested. 14. How do I verify my XRestaurants.co.uk account? After you have subscribed to the site, a confirmation e-mail will be automatically sent to the e-mail address you have used in the in your form. This e-mail will contain a unique link towards a page where the user can enter additional information for his profile. After the account has been confirmed, the user is redirected to a page from where he can invite other friends to subscribe to XRestaurants.co.uk. 15. How do I modify my profile picture? You can modify (or upload) a new picture for your profile from the left part of your account by using the “Change Photo” link. 16. How do you modify the account preferences? 17. How do I deactivate my account? On the left part of your member page, click on “Account Configuration”. From here, a user can deactivate his account by using the “Do you wish to deactivate your Account” link. 18 Can I change my e-mail address? Yes, in order to change your e-mail address you have to go to the “Account Configuration” section (you can find a link to this page in the upper part of any page once you are logged in with your member account), write your new e-mail address and click “Update”. Starting from that moment, you will be able to use the account with a new e-mail address. 19. Who can see your profile? Your profile is visible to all members of this site as well as to visitors. This ensures the transparency of the reviews, that they are introduced by real persons and that they are true. 20. Who can see my name? Your surname and the first initial of your first name will appear on the site, with the exception of your account. For more information regarding the method of utilizing your information, please access the “Private Policy” section. 21. Can I create more accounts? No. This goes against our site’s trust policy; we will erase all of the duplicate accounts as we identify them. 22. What does “Add Offer to Favorites” mean? If you find an offer that you would like to publish and recommend to your friends or other users through your account, simply select the “Add Offer to Favorites”, located in the left part of the page that displays the offer in detail. 23. What is “Follow the Activity of this Restaurant”? In order to receive notification about the novelties connected to a restaurant or a venue that are of interest to you, you can simply subscribe to the establishment you wish to no more about and you will be notified the moment another user leaves a review, a new commentary is added or a special offer is provided by the restaurant. 24. How do you erase a friend? In your account, you click the “Friends” button. Select the friend you would like to erase and use the “Erase Friend” in order to eliminate the selected user from your list of friends. 25. What is a tag? Think of a tag as a word or an expression that describes a category. Tags can help your friends find what they are looking for on the site quicker or remember restaurants and reviews easier in order to find them later. 26. How can I use tags? A tag is a word or an expression that you can add to a review, which conveys it a greater personal value and which can help you group restaurants and venues under the same name, thus helping other people find your reviews easier. 27. How do I add a tag? You can add a tag for a review the moment you are making the review by accessing the field “Add tags”. 28. How can you erase a tag that you have already added? You can erase a tag already added by you in the “Modify Reviews” section by simply modifying the review and erasing it. 29. How can I add photos to a review or a restaurant that I have visited? On each restaurant page you can find a link with “Upload Photo”. When you wish to upload photos from a certain restaurant, you must also add a review in which you explain to the other members of the community when you had the opportunity to take the pictures that you are uploading. If you wish to upload several photos at the same time, simply access the “Click for more Photos” link, displayed immediately under the upload photo section. 30. How do I add a photo to my profile? You will find a “Change Photo” button in the left part of the user page. Choose a picture from your computer and press the “Send” button. 31. What photos can a upload on the site? You can upload any photos that are not offensive or do not have copyright. Also, the uploaded images must be connected to the restaurant where you wish to upload them. Each time a member performs an action that will win him points, these points are added to his account. Every user can see the available points in your account page. For example, when you add a review with one picture, a video link and you share it with your friends you win 70 points. If you are the first person to add the review, you gain 80 points! 33. What is the value of my points? The points you receive are the XRestaurants currency and, as in the case of all currencies, the value of the points relative to other currencies will fluctuate. At this moment, the value of the XRestaurants point is of approximately €1= 125 XRestaurants points. The points accumulated on the site can be used for exclusive discounts that XRestaurants has negotiated with its collaborators. 34. Where can I see all of my points? On the left side of the menu of your account, you can see the total number of points you have accumulated up to this moment. 35. How can I use the points that I have accumulated? Alessandra has accumulated 5.500 points from the activity and actions she has performed on the site (question 32 from above). She likes a certain offer on the site that states that a restaurant in her area is offering a discount of approximately 40€ for a romantic dinner for two (which has a value of 5.000 points). Alessandra goes to the offer detail page, clicks on the special offer button that transfers her to a page where she can download and list the special offer voucher from. The voucher will be personalized and will display her name. The points that have been spent will be automatically eliminated from her account. The points accumulated from the abuse of the XRestaurants.co.uk system cannot be used to purchase special offers from the site. Example: recommending the same offer to the same person several times, sending several invitations to the same person several times, introducing repetitive reviews or repetitive commentaries. 36. Why are certain offers free? The offers that are marked as free are offers that the restaurants that offer them are present in other locations as well and are not exclusive to XRestaurants.co.uk. 37. What happens if I do not have enough points? If you try to purchase an offer, when the number of points is higher than the number of points you have at your disposal, you will not be able to use the button that allows you access to the voucher necessary in order to benefit for the offer. 38. Is there a connection between the offset and the reviews and votes given for a certain restaurant? Absolutely not. We have clearly stated that any restaurant can purchase advertisement space from XRestaurants no matter the content of the reviews or of the votes present on the site. If the restaurant or the business is not satisfied with the reviews that appear on the site, they need not purchase more advertisement space. 39. What does XRestaurant.co.uk do with my personal data? We take privacy very serious and we dislike spam just as much as you do. We display public data in a limited way in order to allow the user to evaluate your reviews or a restaurant profile made by you. If you receive any kind of harassing messages, abusive messages or messages that contain a violation of the terms and conditions of use, send an e-mail to info@xrestaurants.co.uk in order for us to take measures against these practices. 40. Can the rest of the users see where I live? No. The other users can see only the zone where you live and not your exact location. 41. How do I add someone as a friend? In order to add someone as a friend, go to the public profile page and click on the “Add a Friend” button. If you wish to search for other persons as friends, use the “Recensor” section where you can find a person using the city where he/she or the e-mail address. 42. Can I see who added me as a friend? Yes, when someone adds you as a friend, we shall send you an e-mail through which we will announce that someone wishes to be your friend. The e-mail also contains a link towards the profile of the person that has added you as a friend and it also gives you the opportunity to add him in your list of friends (if you wish). 43. How can I find other persons from my area? In the “Recensor” section you can search for XRestaurants.co.uk users in your city or area. You do not have to add all of your friends, but it is very useful and fun to find people that go to the same places as you and to find out why. 44. Do I have to know this person before adding him to my friends list? Not at all, usually, the XRestaurants.co.uk users become friends because they have similar tastes or because they enjoy the way someone has written a review. It is a sign of mutual appreciation to become friends based on a positive or negative review of an XRestaurants.co.uk user. 45. Someone I do not know added me as a friend… what is this about? Yes, this happens all of the time: the person probably is a big fan of your reviews and he wants to make it easier for him to find out when you write other reviews or commentaries. Don’t forget, it is not obligatory for you to add this person to your friends list (unless you wish to, of course!). 46. What are the Guides? A user may create a list of his own reviews. A good example of a guide can be “My favorite restaurants in Leicester” or “Chinese restaurants in London”. Each guide is formed from the guides of the user. The user can add a review to several guides, thus one review can be part of both “My favorite restaurants in Leicester” and “Chinese restaurants in London” guides. 47. Where are the guides and the lists displayed? The full details of a list of reviews are displayed on the detail page of the guide. The compiled guides of a member are listed in the “Manage Guides” section of your XRestaurants account. The most voted guides will be presented on the site’s main page. If the review of a certain place will appear in a guide/list, the detail page of the restaurant will display a list of the guides that contain that review. The guides can also be sorted according to date and other members can add commentaries to the guide. 48. How do I subscribe to the XRestaurants Newsletter? The members can subscribe to the Newsletter of XRestaurants in the moment of their registration on the site. In the “Account Configuration” section, the user can unsubscribe from every newsletter we send. In the same way, the user can subscribe to every newsletter. 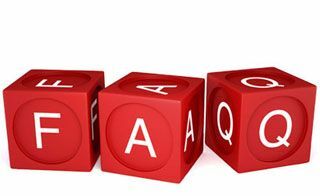 If you have any questions or other inquiries, please send an e-mail at info@restaurants.co.uk and we will answer immediately any questions you might have for us.